Fortunately, attorneys have options when it comes to deciding the best way to make a deposition accessible and efficient for all parties involved. Videoconferencing and web conferencing are two great options for achieving these goals. Web conferencing assists the taking of depositions with attorneys and/or the witness in remote locations from each other. The witness will be located at the same location as the court reporter, while the attorneys may be located remotely. Both the attorney and the witness will be connected to a computer or a tablet running software that allows them to see and hear each other. This software provides a video stream of each party over the Internet. The attorney can ask deposition questions and the witness can answer them as if they were in the same room together. Videoconferencing also allows a deposition to be conducted when parties are not in the same room as each other. However, videoconferencing must be conducted in a room with specialized equipment purpose built for this. It consists of a large screen on the wall, high-quality cameras, microphones, speakers, and a reliable, hard-wired connection. Traditionally, the only option was videoconferencing if you wanted a remote audio/visual experience. However, as technology has improved in the consumer space, computers, tablets, and smartphones have greatly improved and now allow remote video streams with pretty good quality. Videoconferencing does still have its uses. Plenty of organizations prefer a very high-quality audio and video stream that only videoconferencing provides. As the newest, state-of-the-art technology for court reporting services, there are a number of unique features available to law firms that choose web conferencing. For starters, attorneys can substantially reduce travel costs and enjoy significant cost savings by conducting a deposition remotely from the comfort of a laptop, desktop, or even a mobile device. The low-cost solution and remote location flexibility makes deposition web conferencing especially attractive for small or solo law firms that may not have the budget for a room-based video system. Best of all, results don’t need to be compromised. If anything, law firm efficiency can even improve since attorneys save time by conducting the deposition remotely. Web conferencing has advanced to the point that video quality is generally more than acceptable for legal proceedings. It is also worth noting that web conferencing provides far greater ease of use. Web conferencing requires no dedicated equipment and can be supported by a wide range of tablets, phones, laptops, and desktops. Perhaps the greatest benefit of videoconferencing is that lawyers are ensured that the video quality will be unrivaled. A quality court reporting agency is capable of proving a cutting-edge, room-based video system that provides best-in-class video and audio transmission. 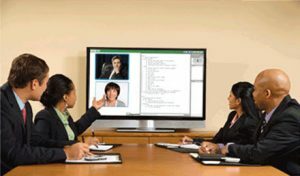 Whereas web conferencing generally runs with a web browser on your computer, videoconferencing uses dedicated equipment. 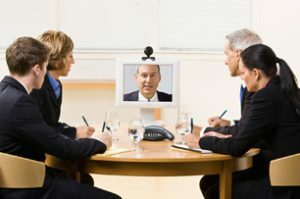 Web conferencing video and audio streams can fluctuate in quality depending upon the Internet connection of both parties and the quality of the equipment being used. Not all webcams integrated in a computer or tablet are created equal. Whether a dedicated videoconferencing system or a web conferencing solution is ideal for your firm will depend on your budget and whether you prioritize audio/visual quality, flexibility, portability, or some combination of these factors. While videoconferencing is by far the highest quality, it is also the most expensive. Web conferencing provides much of the same convenience and flexibility but without the high price tag. If you have questions about which form of conferencing is best for your firm, contact us for a consultation. Visit us at www.depo.com.